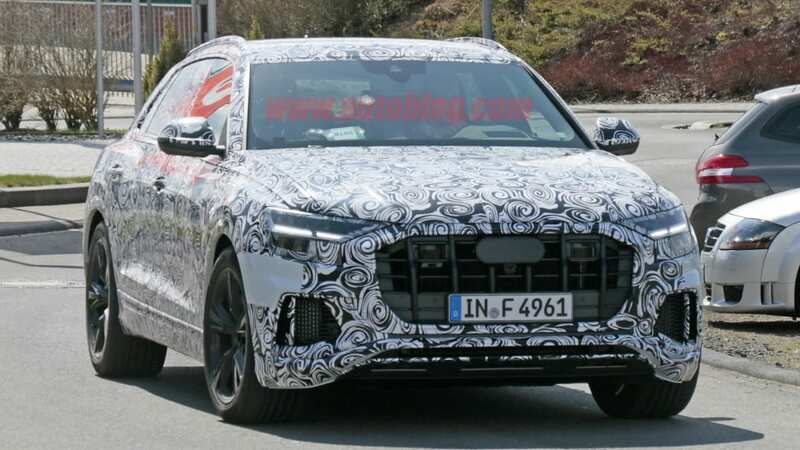 We're fairly certain that the upcoming Audi Q8 flagship crossover SUV will make its debut soon, reportedly this summer, since we've seen it without any camouflage. 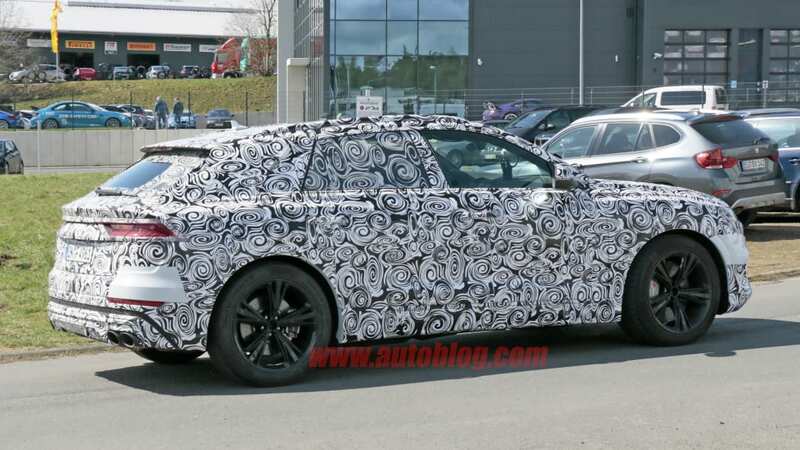 It also appears that it will have a full complement of performance models. 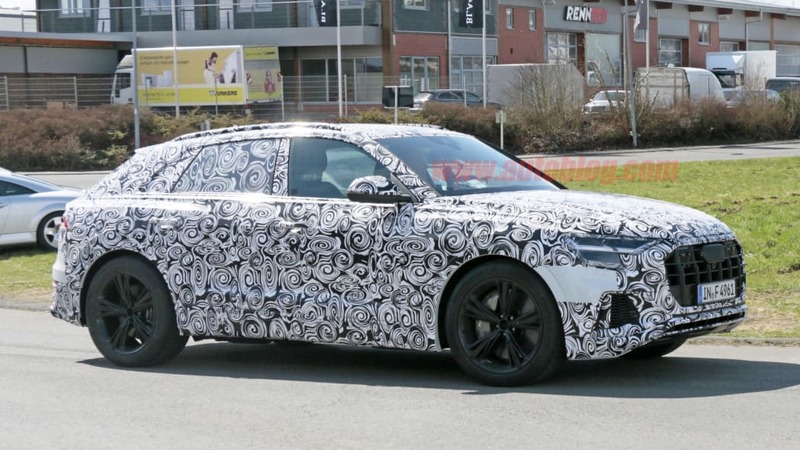 In addition to an S Q8 spied by some other outlets, there appears to be an RS version on the way, shown in the photos above. There are a couple of key things that distinguish it from other Q8s that have been seen. Foremost are the brakes. This prototype is sporting cross-drilled rotors that appear to be carbon ceramic at all four corners. And the rotors at the front are absolutely enormous, and they're paired with six-piston calipers. The other differentiator is the crossover's sound, which sadly doesn't translate in photos. 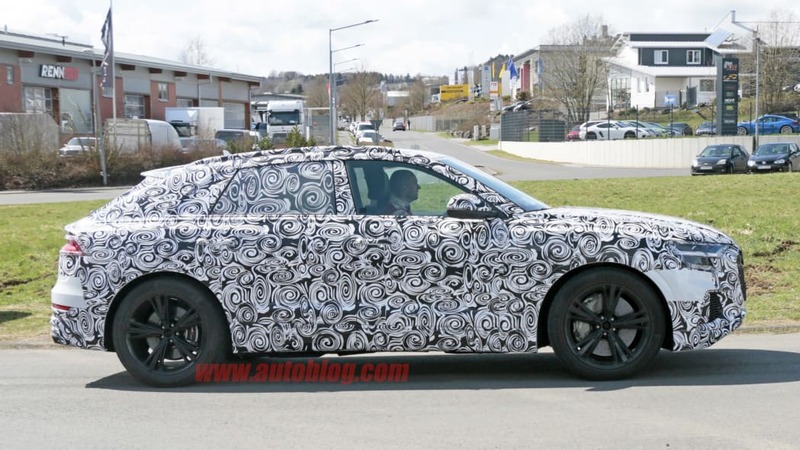 But according to the photographer, this is the most aggressive, deep sounding Q8 yet. 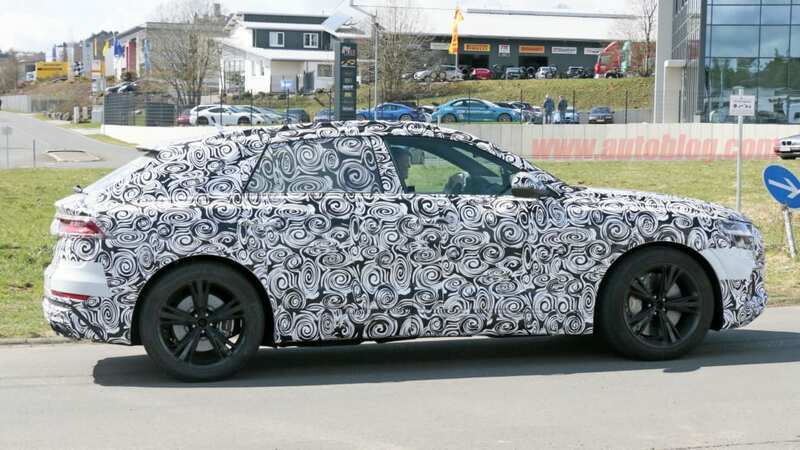 This indicates that it's not simply a braking package for the S Q8, but a higher-performance RS Q8. 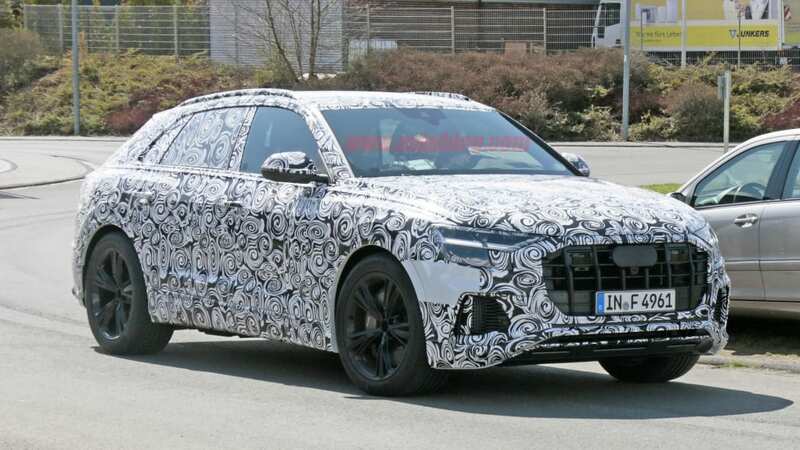 Interestingly, this RS Q8 doesn't look much different from the normal Q8. The outboard grilles in the bumper are opened up, no doubt to help keep the big, boisterous engine cool. 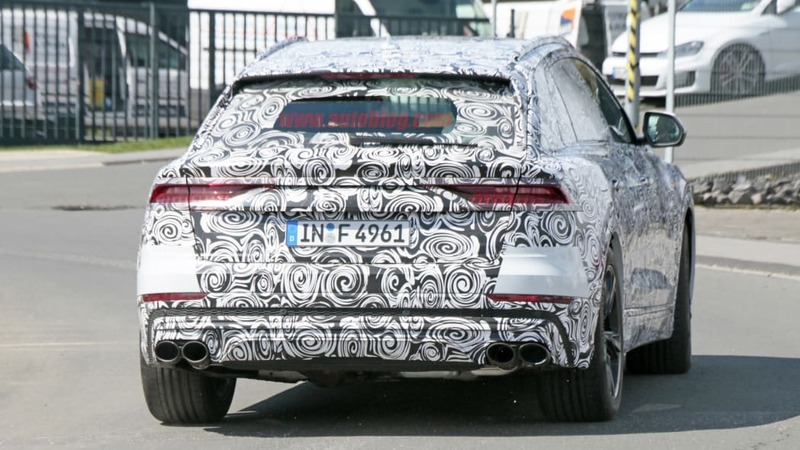 It also has round exhaust tips that are a signature of performance Audis. 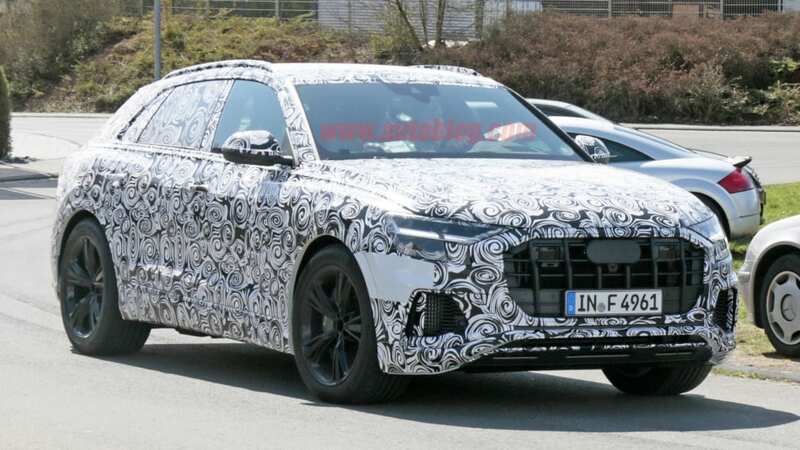 On the topic of the engine, rumor has it that it could use the twin-turbo 4.0-liter V8 found in the Lamborghini Urus. 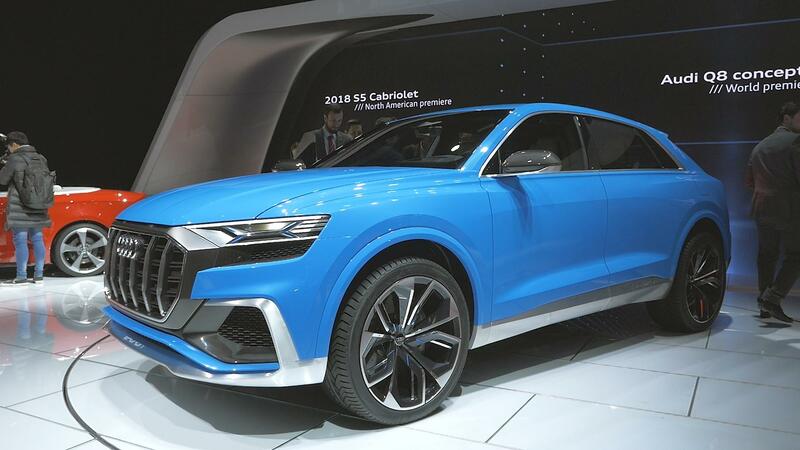 With the full reveal of the normal Q8 soon, we should hear more about the RS around the same time, or possibly a few months later.